Sims Townships, of which Swayzee is a part of, was founded in 1845 by Jacob Pence, who named the area after his father, Joseph Sims. Sims Township was originally a part of the Indiana Reservation, but the continuous flow of the white settlers into the area, native Americans moved further west, abandoning the area. The first election in the Township was for the position of Justice of the Pease in 1848 and Adolphus Long was elected to the position. A year later, the first school was built on the Ammons farm. The 1850's showed the continued growth of the young township when Joseph Clinger established the first trading post. In 1855, Clinger's brother, Henery, founded the first grain and saw mills. The first Township assessor was Charles Miller. From 1861 to 1865, several men in the township joined the Civil War. After the war was over, 21 men died on the battlefield. In 1880, the Clover Lear Railroad tracks were laid through the township, and were later renamed the Kokomo-Marion-Wabash Traction Line, connecting Kokomo and Marion. 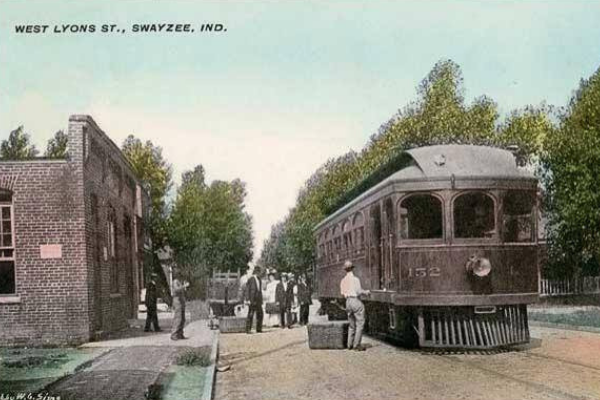 Later that same year, the Cincinnati, Indiana, and Easter Railroad were built running from Fairmount to Converse and intersecting with the K. M. & W. The intersection of the two lines was named Swayzee after James Swayzee who owned the land. The railroads brought several more settlers to Swayzee, including craftsman, merchants, clergy, and professionals. In August of 1881, the first post office was established. The Swayzee Methodist Protestant church was founded in 1883 and the Swayzee Christian Church was founded in 1884. On June 30, 1886, the Swayzee Lodge Number 625 of The Independent Order of the Off Fellows was founded. 11 years later, the Swayzee Lodge Number 451 of the Knights of Pythias was founded; both lodges lasted well into the 1900's. In 1887, a milestone in Swayzee's history occurred when natural gas was discovered in town. The next 13 years, bore witness to a population boom, with over 40 new businesses opening, including several factories, a creamery, and an opera house. With this continued growth, it appeared that Swayzee would rival Marion in size and prestige. 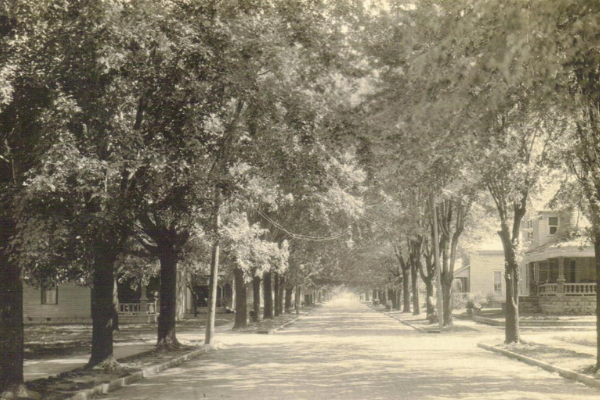 In June of 1890, it was decided to incorporate Swayze into an official town and to hold elections for the growing metropolis. W.E. Heron was elected as the first town council president. The first high school was established in 1891 and the enrollment consisted of eight freshman and five sophomores. 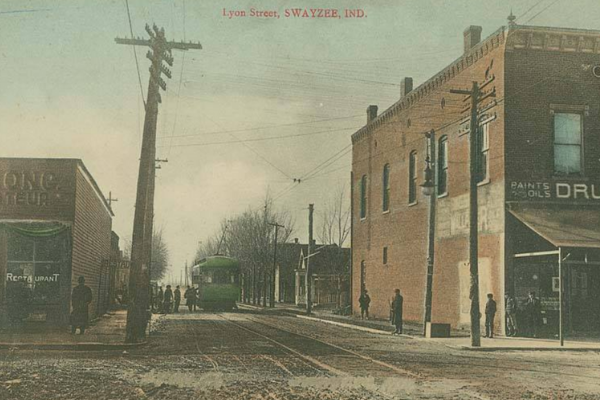 By the turn of century, Swayzee had reached its peak in size, population, and number of businesses. The natural gas had run out and a series of catastrophic events would almost bring the town to its knees. In 1901, the glass factory exploded. In 1906, the lumberyard burned down, along with both churches in 1918 and the flour mill in 1927. Instead of rebuilding, most of the businesses moved out of town to neighboring towns, leaving Swayzee to grow into a peaceful, rural community. 1890 - The first town Ordinance was passed, limiting bicycle speed to 4 mph. 1918 - Gaming tables were allowed in saloons. 1939 - A billiard and card hall was established. 1946 - The first eight streetlights were installed. 1949 - The first ever tractor pull in Indiana was sponsored by the Swayzee Lions Club. 1954 - The first speed limit and caution signs were installed. 1955 - The first Dog Ordinance was passed, allowing the Dog Warden or Marshal to destroy animals if off the owner's property. 1960 - H.A. Chapel Second Fire Chief was hired. 1964 - Henery Hinchan was issued as the first dog warden. 1965 - A tornado hit the town. 1966 - Carl Wolf became the Chief of Swayzee Civil Defense. 1970 - Carl Wolf was appointed as an advisor to the Grant County Civil Defense Advisory Council. 1972 - Jack Copus was appointed as the Street Commissioner. 1973 - Civil Defense members were deputized and paid $100.00 a month for services. 1978 - Swayzee was declared a Federal Disaster Area due to the blizzard. 2007 - A blizzard hit the town. 2007 - Deputy Mi. Jones was the first Swayzee officer to be honored for the rescue of three children from a house fire. He was the first office to be honored by an Indiana Governor, as well as honored by the Town Council, Marshal Shaffer, Swayzee Fire Department, and Indiana Pacers.